Marketing is an essential component of any business, but all the more so when you’re just starting out. And yet, typing “marketing strategies” into Google is more likely to overwhelm the new business owner than to get you going. With so much information out there, how is anyone to begin? 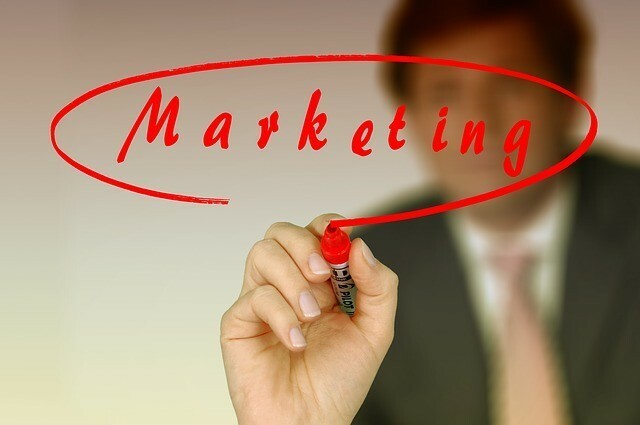 By taking these top 5 marketing tips to heart. Own your platform: Establish your expertise by producing helpful blogposts and by posting industry news to your social media feeds. Find your niche and sell your services with a unique voice: Even if you operate in a highly competitive market, you can stand apart by finding a very targeted niche and writing your content in a unique and engaging voice. Think: professional with a dash of personality. Promote user engagement: Whether it’s comments on your blogs or user-generated contest entries, invite your users to contribute directly to the making of your brand. The more users engage the less casual they’ll become the more likely they’ll be to buy from you. While most companies will benefit by offering some amount of their expertise for free in blogs, videos, and articles, it’s important not to let “free morsel” become “no reason to buy.” This is where some of those more traditional marketing techniques can come in, as applied to a more web-based model. Calls to Action (CTA): The last thing you want is for a potential customer to make their way through an entire expert blogpost and then have no way of engaging. Have clear CTAs throughout your site, whether that’s an easy to use comment box, an immediate prompt to sign up for a newsletter, or a discount on your services for signing up for a membership. Premium Version: So your blogpost has convinced a customer that you’re an expert in the field — one that they should have on their side. Offer even more in-depth help with premium services, or a downloadable e-book. Incentives: Likewise, offer customers who engage with your site membership or purchase incentives, like discounts across your services. But remember: always provide helpful content without an agenda first…and then slip in a more traditional deal at the end. To really establish your presence online, it’s crucial that your business establish a top ranking on the first page of Google. The best two ways to do that: produce rich, brand-specific content on your site and understand how to use Google AdWords. The Free Keyword Tool: One of the best ways to drive customers to your site is to find out what they’re Googling. First, sit down and write out a list of terms you feel your customers would search to find you, including everything from single words to longer phrases. Then, take a look through the results, searching for words and phrases that are decently popular but have only a low or medium competition rate. Use your chosen keywords as inspiration for blogposts or your wider content strategy, integrating them naturally into your content. Pay Per Click (PPC): GoogleAdWords also will let you bid for the most commonly searched terms in your industry. However, if your industry is dominated by big players with an unlimited budget, you’re unlikely to win an AdWord war. What’s more, learning how to be successful with PPC and AdWords in general will require some strategizing, so be sure to peruse this guide to Google AdWords to get you going. I know what you’re thinking: but Nike and Reebok don’t advertise together; nor do Coke and Pepsi. That’s true, but (1) These are traditional companies that, while somewhat embracing online marketing strategies, are still very much stuck in a traditional marketing model, and (2) Your brand isn’t a multinational corporation. Yes, this means you have less of a budget from which to draw, but it also makes your business perfect for the collaboration and relationship-driven internet, where small business people can draft on each other’s momentum. Your business will look a lot better if your competitors routinely share your amazing content, and you’ll both do well when you guest post for each other or participate in a creative contest or social media event. Remember, with such a vast audience at your fingertips, there’s room for everyone’s style and niche expertise. Work together, refer to your competitors when you’re too busy to take on another client, and reap the rewards. Connecting with potential customers: Respond to customer comments with humor and empathy, and put out fires before they spread too far. Build relationships: Share the helpful content your customers or competitors produce, and become a leader of a passionate community. Get creative: Have your users compete with the wittiest @mentions or hashtag searches, or tell an intriguing story via pictures posted to Facebook. Get as new and creative as the very social media platforms on which you post. In today’s hyper-connected online world, marketing for your new business can be full of fun and creativity, and it might just help you find a passionate, caring community along the way. So get brainstorming, get working, and see what you can do with our top 5 tips. Sam is Tech blogger. He contributes to the Blogging, Gadgets, Social Media and Tech News section on TechCavern. Creating a new Website hasn’t been made this easy!